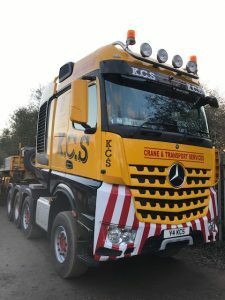 KCS Crane and Transport Services is a family based business established over 30 years ago. Over the years the company have grown through the exceptional services that they provide to their customers and take pride in doing the work quickly, efficiently and in a professional manner. 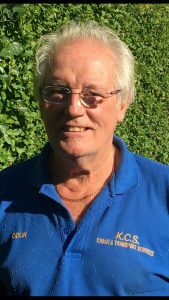 Owner Colin Marshall explains how the FORS standard has supported the operation to maintain the high standards expected within the industry. As we are based so close to Heathrow airport, a good percentage of our work is airside and the FORS standard is a well-recognised brand. We were prompted to join the scheme five years ago knowing that once we gained accreditation it would open doors for further contracts where it was mandatory to be an accredited member of the scheme. We had our first bronze audit five years ago and being a well organised and compliant company, we passed first time, prompting us to work towards silver accreditation which we achieved in January 2015. We were proud to achieve gold accreditation in November 2017. knowing that once we had achieved both silver and gold accreditations this it would make way for further contracts with large reputable companies such as BAA and Balfour Beatty. Once we became an accredited FORS bronze member, we took full advantage of the training and management tools on offer to further improve general organisation and operational efficiency, improving our knowledge and awareness of environmental impact, encouraging us as a company to make steps towards reducing the fleets emissions via online e-learning training and the purchase of modern euro 6 vehicles that have reduced the output of Co2 emissions of the fleet. Since joining the scheme 5 years ago FORS has equipped us to continue to grow in the heavy haulage industry. Gaining Gold accreditation has opened doors for the business allowing us to work for some of the most well-known construction companies in the UK. With our operating centre conveniently situated so near to Heathrow airport, we have gained access to various projects there and in this respect FORS with its focus on maintaining robust quality fleet management has contributed to ensuring we continue to work on such contracts. Working on busy and fast moving projects such as Heathrow airport, Crossrail and Thames Tideway, we felt it is beneficial to implement improvements with regard to driver training and vehicle safety features to minimise the chances of a near miss or collision. Gaining FORS bronze accreditation and moving onto silver, helped to point the company in the right direction to implement such improvements. Gold accreditation strengthened our reputation as an operator that has a positive attitude for road safety and the environment. All drivers have attended a FORS safe urban driver workshop to give them a better understanding and consideration of vulnerable road users and they are now progressing with FORS e-learning modules. In addition, all of our vehicles are fitted with 4 way camera systems to minimise driver blind spots and make it easier to see vulnerable road users. As a result of the driver training undertaken and the introduction of euro 6 trucks the business has shown a steady decrease in Co2 emissions and a reduction of blameworthy incidents as reflected in the table below. We will continue to utilise all training material on offer through FORS as this has had a positive impact on both company incident rates and fuel usage of the fleet. We have already made steps to upgrade the fleet with newer fuel efficient vehicles and will continue to replace older vehicles with euro 6 trucks in the coming future, always look for ways to reduce fleet fuel usage by means of accurate and precise route planning and fuel efficient driving. It provides a way of identifying any our HGV drivers with medical conditions that could restrict their ability to drive with remedial action identified to support any that need it. All our drivers complete a health questionnaire at induction and every 6 months thereafter. We also have subscribed to a cycle to work scheme where staff can enjoy the benefits of purchasing good quality bikes at a discounted price that they can pay in low instalments. This is to encourage all staff to cycle to work and improve fitness levels. We have developed an ongoing strategy to support driver recruitment to ensure that we recruit the right people and identify any internal development opportunities for existing staff. We monitor our noise levels across the business and have developed a risk management tool to identify individual and collective risks which could potentially impact on our business activity. With the vast majority of our vehicle movements involving travel to and from construction sites there is currently little scope to explore alternative modes of transport although with another euro 6 vehicle on order due for delivery in April 2019, the company is further reducing emissions year on year. The monitoring of driver fitness and health is ongoing and with the safety of vulnerable road users in mind it is always our priority to ensure their safety is maximised by implementing any further improvements to vehicle safety systems and any further training that is relevant to the operation. KCS Crane and Transport is proud to be a Gold accredited member of a scheme that continues to evolve and support operators in setting high standards in road safety. Gaining gold accreditation for a second year will continue to add value and raise the status of the business opening doors for further contracts to create further growth and higher turnover allowing us to invest into the company with newer euro 6 trucks and the latest vehicle safety equipment. As a company we will continue to embrace the benefits of FORS to develop our knowledge in improving road safety standards and protecting the environment in the work we do.